Thank you to reader Tim, who sent some great photos of the Springdale movie set of "We Need to Talk about Kevin." I can't believe we may see our very own Dairy Inn (which I've never been to) in a movie! And I am dying to know what they used Vinny's for. Tilda's hair looks long in one of the photos, as opposed to the short cut I saw in some movie stills online. Click read more to see three more photos. Did you see them filming on Long Ridge Road yesterday? The police were escorting a black SUV, which was being towed around on a platform truck with cameras and lights surrounding it. 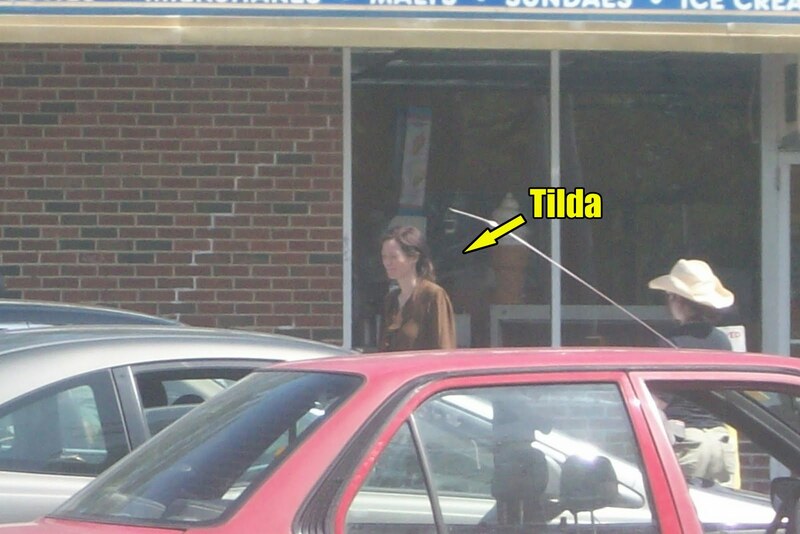 I spotted a blond woman in a striped shirt in the driver's seat, but I couldn't tell if it was Tilda. I Am Watching You, Stamford. Actual Star Sighting in Stamford: John C. Reilly!